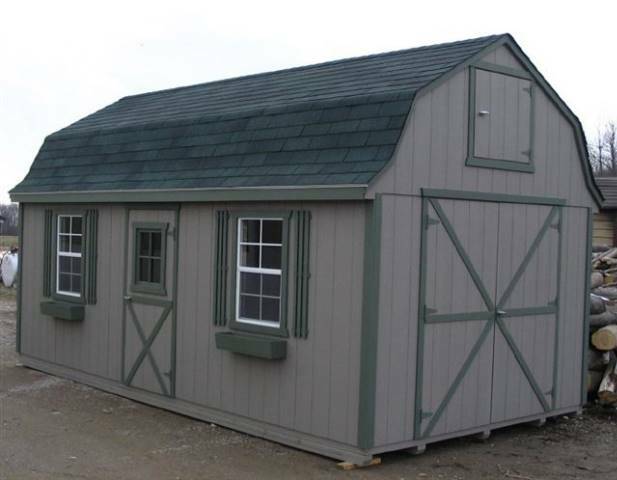 Our Mini Barn Sales Center always has a selection of barns for you to view. 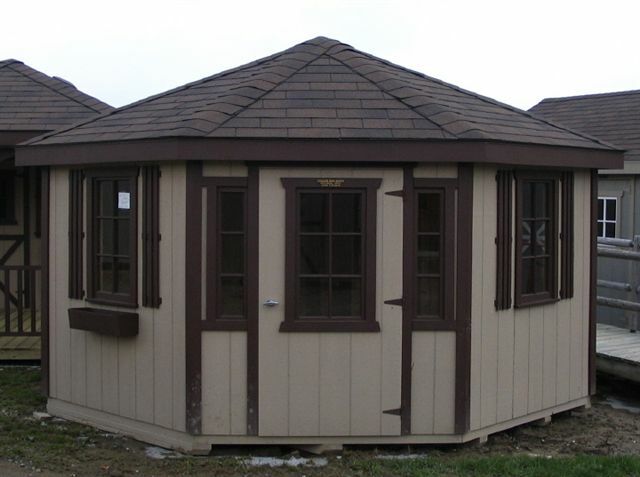 Ready-built or assembled on site for an additional cost. 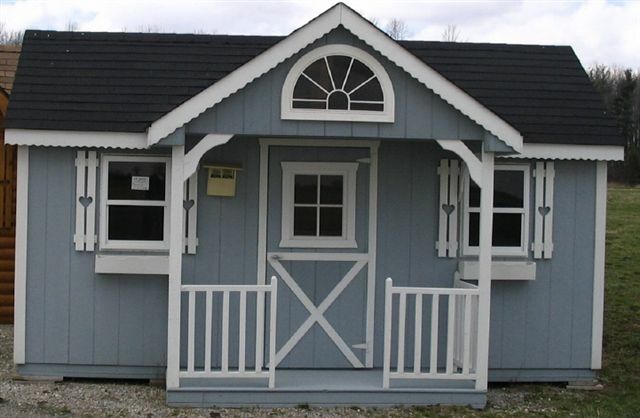 Our sheds increase your real estate value. 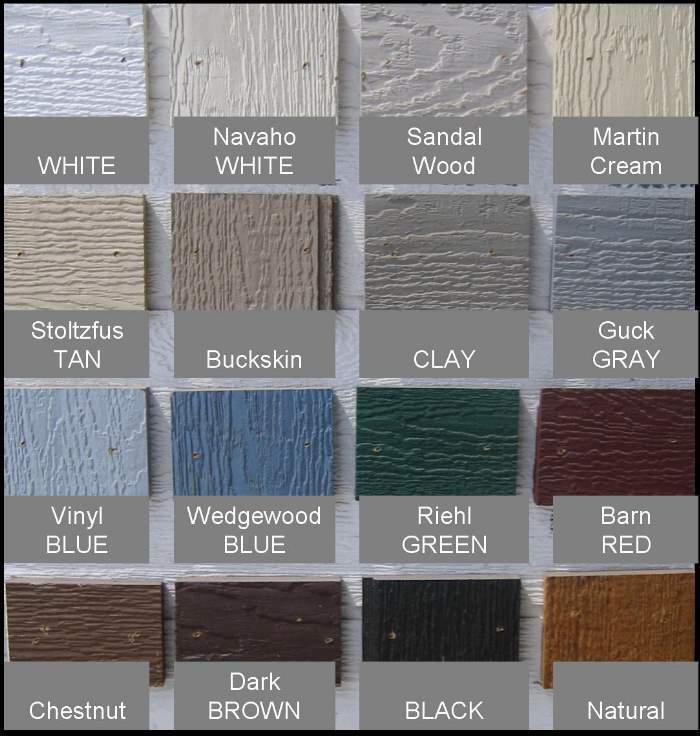 25 yr shingles on roof; 10 colours to choose from. Cedar T&G or lapp style. 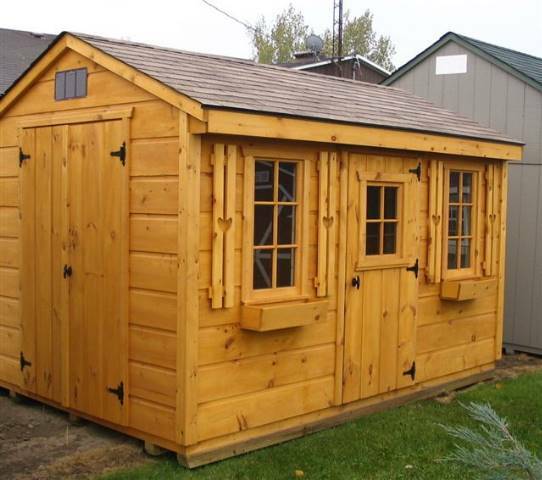 Ask about log siding or anything else you might like. All buildings are ventilated with 2 to 3 vents. 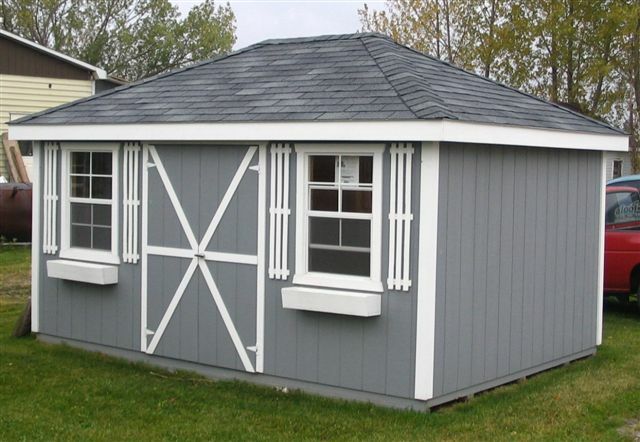 All buildings over 110 sq ft have engineered truss rafters 24" OC with 1/2" plywood sheathing (exc Playhouse which we frame to pass building code). 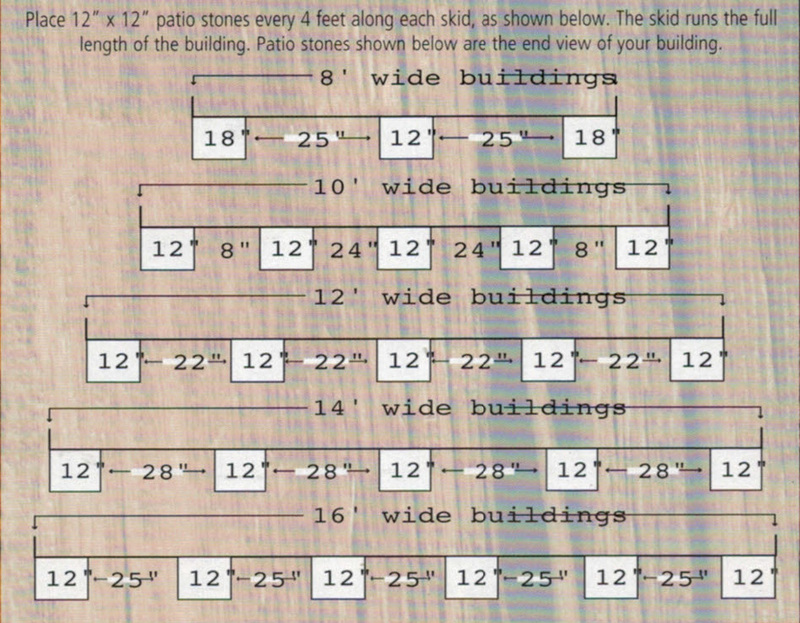 Buildings under 100 sq ft have strong rafters 16" OC with 3/8" sheathing on top; won't sag. 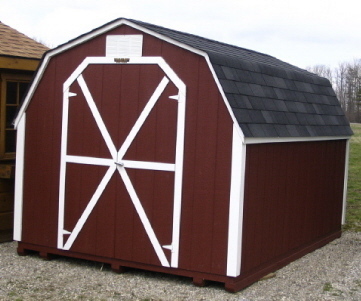 Our sheds are heavy duty; will not blow away like little tin sheds. …are built to order, carefully, by hand, the way a carpenter builds a house. Standard wood framing techniques and materials are used, scaled to shed dimensions. … are sturdy and very well built. 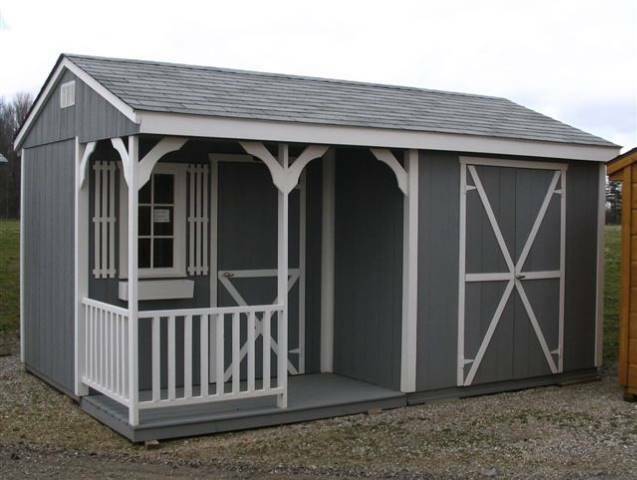 Ideal for storing such items as garden tractors, lawn mowers, furniture, motorcycles, bikes, snowmobiles and even cars. We’d like to be the happy, honest satisfied Builder & Retailer. 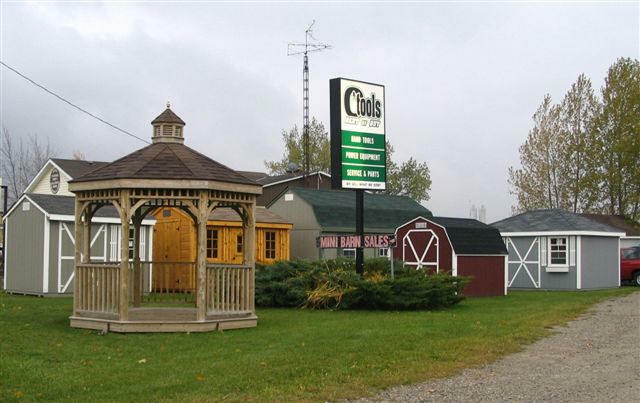 For more information on Wagler Mini Barns please call (519)786-5902 or email info@otools.ca to get started today!